Setting the wrong price for your product or service can be catastrophic for your business. If you've ever launched a new product, you're familiar with the agonizing questions about the price you decide on. Is it too high and no one will purchase? Is it too low and you're leaving a lot of money on the table? Read this post to find out what the top 5 most common pricing mistakes are and how you can avoid them. Watch the video above to discover the top 3 worst (and most common) pricing mistakes. Read on below for a summary of the pricing mistakes, plus 2 additional pricing traps you need to avoid, starting here. It seems like a logical choice: you take a look at what competitors in your space are charging and you simply charge less. This will give you an instant market advantage because everyone loves to spend less, right? By setting your prices too low, you're undermining your chances of making a profit. I can guarantee you that once your business is running, there will be unexpected expenses, product returns, refunds, etc. What you thought was a decent profit margin suddenly disappears into thin air. The end result is that you will be busy with all the work around selling your product (customer support, bug fixes etc) while struggling to make enough money to get by. What's worse, setting a low price can also hurt your credibility. Price implies quality, after all. Charge way less than your competitors and many of your visitors will simply assume that your product or service must be of lower quality as well. The Exception: Show Me the Factory! The rule is "never compete on price", but there is one exception. If you have a technological or otherwise proprietary advantage that lets you produce at scale, you may be able to compete on price. It's a mistake to set your price based on the cost of your product. In fact, you shouldn't focus on your product or features at all, when setting a price. You set a price by "gut feeling". You look at your product and give it a price that seems about right. You look at similar products in the market and set a similar price. You calculate how much it costs you to deliver the product and add 20% margin (or similar) on top of that. Because instead of focusing on your product, you should focus on the value your product delivers to your customers. How much value does my product bring to my ideal customers or clients? How much can the market bear i.e. how much is the maximum my customers or clients are willing to spend? This value focus explains why in every market, there are different products and brands that appeal to different market segments, at vastly different prices. An example of this are wristwatches. 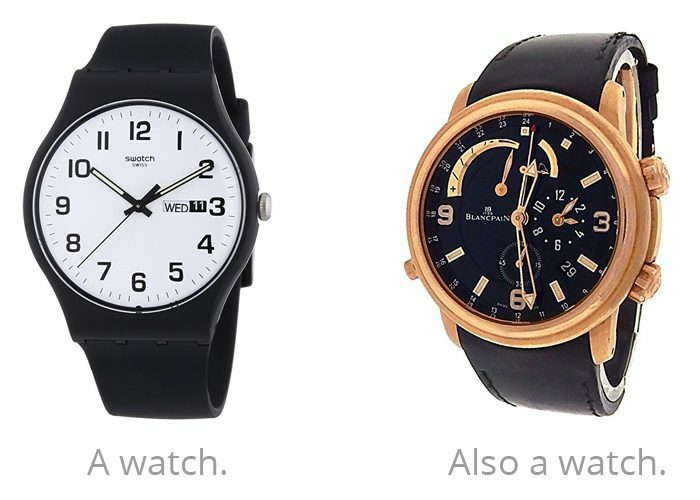 Some people buy a $40 Swatch because they want a convenient way to tell the time. Some people buy a $15,000 Blancpain because it's a fashion statement and status symbol. Let's examine another example in a bit more detail. All three of the follwing products are KPI (Key Performance Indicator) dashboards. They basically do the same: you can collect data with them from various sources and then display and work with that data. The first solution, Cyfe, offers an unlimited free plan for its users. For more features, you can upgrade to their premium plan for just $19/month. You can get a free trial month from Geckoboard, but if you want to keep using their service, you need to pay at least $25/month. This plan is very limited, though, so most users will end up upgrading to the $149/month plan. There's also an even higher end plan for $599/month on offer. You pay $500/year for Tableau Online - per user! The target client for this solution are large enterprises, where entire teams of people need to access and work with the dashboards. We can assume that Tableau bills their typical client many thousands per year. If these three products essentially do the same, why is there such a huge difference in price? These services made for three entirely different segments. A KPI dashboard doesn't bring much value to solopreneurs who work on their own and don't have much data to work with. Big businesses, on the other hand, with many employees and multiple different projects running at the same time can get a lot more data into and a lot more value out of such dashboards. This is where the reason and justification for the vastly different prices (mainly) comes from. If you choose Cyfe, even if you have a lot of data, dashboards and users, and absolutely love the service, you still can't pay more than $19/months for a better plan. Geckoboard has a much better pricing setup. For customers on a small budget or those unsure about whether they need a dashboard or not, the lowest price point is ideal. But once someone's on board with the idea and if Geckoboard does a good job of turning their customers into fans, there's a $149/month price plan to upgrade to. It's a high price point, but one that real fans and highly engaged users will gladly pay. Have more than one price point or pricing plan. And/or have more than one product in your funnel (think: upsells and cross sells). The point is that if someone loves what you do, give them the chance to buy more from you. This is exactly what Sacha Greif talk about in this article: as it's hard to know how much someone is willing to pay and how much, it's best to offer different prices and let people select the one that's best for their needs. For example, if you're selling an e-book and sell thousands of copies, most people will be happy with the product the way it is. But, there will be a small percentage of people who will love it so much that they will want more. You can create a higher bundle for these people - e.g. an audiobook so that they can listen to your book while they are driving or a coaching session with you. Don't take the opportunity away from your super fans who want to give you more money. If you avoid the first three pricing mistakes, you already have a good chance of setting your business up for success, with the prices you choose. So, now you can just follow this advice and publish your new prices on your site, right? If you do that, you're also making a critical mistake. The only way to really know what prices work best for your site and your audience is through testing. Test the layout and presentation of your pricing page and/or pricing tables.​ Should you have 2 or 3 price points? Should you show the highest price or lowest price first? Place the prices above the fold? The only way to find out is to test. Test your pricing and offers. Should you add a higher priced offer? Should you have a free trial? Offer monthly, quarterly or annual options? Again, only testing can tell you the answers. The best approach is to create your best attempt at a perfect pricing page and then create a variation that has just one major change. You should avoid testing multiple changes at the same time, since then you can't tell what exactly caused an improvement. 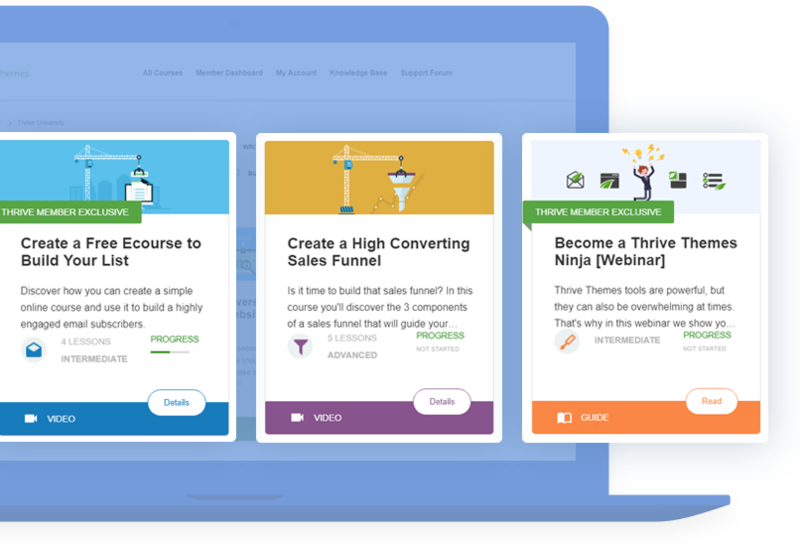 You can learn more about how to A/B test in this post and find instructions on how to run an A/B test with free tools, here. This one should go without saying, but if you make a special offer or use scarcity marketing, it should be the real thing. A countdown timer that resets when you reload the page isn't a good example of scarcity marketing, yet it's surprisingly common. The same goes for advertising a "just-here-and-now" special offer or limited quantities, when there is no real special and no actual limit. Tactics like this may lead to a short-term boost in sales, but your business' credibility will take a hit. As soon as people find out that your limited time offers don't have an expiry date, you can't create the sense of urgency you were trying to apply in the hope of more sales. The solution to this mistake is not to avoid special offers. Limited time offers work like magic, as long as you keep your word. Meaning: if you say that the current price is only available for 3 more days, don't show it on the 4th day just because you sold more than what you expected. At Thrive Themes, we offer a special price every time we launch a new product. The special price is available to everyone for a certain period of time after the launch, but once the offer expires, the offer never comes back. In other words, our limited offers really are limited and in the long term, we've benefited greatly from this. And here's a collection by ConversionXL, with even more price tests and case studies. Priceless: The Myth of Fair Value is a wonderful book on the psychology of pricing, with a strong scientific foundation. More on pricing, by Dan Ariely, but this time in the form of a TED talk: A﻿re We In Control of Our Decisions? 80/20 Sales and Marketing is a book by Perry Marshall. Read this to gain a deeper understanding of why you need more than one price point and how prices and people's willingness to pay them scale across a population. If this post has resulted in any unanswered questions, check out this members only extra. I'm interviewed by Stephanie from the marketing team about how test your pricing point, and if there's a danger of pricing your product too high, instead of too low. This is part of a new Members Only Content Page we've added to your dashboard sidebar, so you don't miss any of the monthly member's only bonuses. With all this, you are now well equipped to set and test ideal pricing on your website. Now, we'd like to know from you: what's your biggest struggle when it comes to setting a price? Which of these tips and strategies will you apply to your business? And which ones don't appeal to you? If you have any questions about pricing or a story to share, leave a comment below! This is one of the most beneficial topics (among the many others) I’ve experienced from Thrive Themes. Thanks so much for this very useful information. This is a very timely post as I have been wrestling with the pricing for the products for my site. Using the tips that you have provided I’m sure I’ll will get this right in no time. good article, but the question still remains in terms of SaaS business models. MailChimp is a leader in the email Marketing Industry, so it is Aweber. The former offers a free plan the later just a free trial. I’m sure you know both well. The key question to answer in this case is: do the SaaS have enough muscle to nurture users until they upgrade and pay for the services or as Aweber and many others do they don’t consider that as valuable and just offer a trial like many other competitors. It would be interesting to know their respective profits. The truths about pricing are independent of business model. My general thoughts on recurring pricing: the freemium model is viable, but I think many startups choose it for the wrong reasons. It’s easy to offer a free plan for the same reason it’s easy to set a very low price. It has the promise of attracting more people. However, most underestimate the cost of supporting free users. And you can assume that 90%+ of your users are going to be free users who will never upgrade. In addition, many businesses find that free users and users on cheap plans require more support and are more difficult to please than users who pay a lot. Apart from that, all the same ideas apply: high prices are viable, low prices are viable, free is viable. It matters how you present your value proposition, who your target market is and how you want to monetize. I agree to Ken J: Thank you Shane, for another great piece of supportive work by you and your team for your readers. More awesome stuff from someone who is actually doing it! Thanks Shane. Thank you, Quentin! Happy to know you found this useful. Nice work here Shane, adding value to the Thrive community, beyond your core solutions. Thank you for this, Shane. Timely and timeless advice and insight on sales and pricing. Thank you also for the Members-Only interview. It really complements the video and written content. Just joined as a member, and excited to be working with the tools and learning from you. That’s great to know! Glad you liked the bonus interview as well. Super valuable advice. Just saved me from making some of the listed mistakes. Thank you so much! Happy to know that you could put this into action right away! I think there is missing an important pricing mistake: thinking “the customer won’t pay more so I have to keep the product cheap”. Thanks for your comment, Birgit. I agree that this is a mistake. I’d say it’s tied to the idea of competing on price, as well. Indeed a great post Shane !! Thank you for your comment, Navaneet! I hope you can follow these points to find a good place to start with your pricing (and then test from there). I’m releasing an ebook and these tips were valuable. Thank you! Good luck with your ebook launch, Adriano! Really enjoy your material. Thanks. Great article and Mistake #3 is such a great and under talked about idea! I heard it originally too in Perry’s book but as ever you show us how to use it. Because I would love to pay thrives theme more for having a little more! Before using thrives theme (only 19 dollar pro month!) I paid a lot more for other things: like 29 dollar a month just for optin monster and thrives lead is a LOT BETTER. Or 30 dollar pro month for leadpage.. And now I have a lot of things, that are all better than that I used before and are much cheaper! So please, give us some bigger option! Would direct suscribe to it! Great article. I think of creating a product and assigning the price is my biggest doubt. Thank you for your comment, Michelle! I hope this post made the task a bit easier for you. I can’t believe I stumbled on Thrive Themes from a random comment in a Facebook group. I absolutely (used to) hate anything to do with building website and only stuck with marketing analytics. Thrive is making it easy to finally launch my own brand and productize my service. Great article and podcast on this topic too! Thanks for the video, is excellent. Wow! This post was all I was looking for and needing. Marauder surprise!